Clegg's is there when we need them. The supervisor Jamar Paige is very accommodating, organized, and has great leadership skills. Since we switched over to Clegg's Pest control the activity of pest has dramatically decreased. Our tenants are happy and we are able to provide a clean environment they are happy to call home. - TOWN OF CHAPEL HILL. Great team, were quick to respond and knowledgeable. Thank you so much for the wonderful review. I will pass along your compliments to the team. Field Representative as well as technicians were professional, prompt, friendly and informative. They all provided excellent service. Barry Parker, Agent for Andre Leon Talley. Thank you so much for the wonderful review. I will pass along your compliments to all those who have provided you with the ultimate termite and pest control service. The agent was very kind and knowledgeable. I had a worry about a rodent problem and Clegg’s was quick to respond. The technician was very friendly and knowlegable and resolved my issue immediately. Thank you. I’m so please with it. Tony was terrific! Courteous, thorough, efficient. Brandon is a gem. He did both my termite and pest control inspections, made sure all the indoor areas were checked and was very professional with the person who met him at my house. He readily answered questions and was very knowledgeable. Easy to work with and extermination treatments work. I had no idea what a bedbug looked like, not until the bugs were a true infestation. A friend recommended Clegg and I am grateful. The heat treatment was amazing, and Clegg checked afterward to ensure we were clean. I recommend them wholeheartedly. Quick availability, professional, would recommend to anyone. Thank you so much for the wonderful review. I will pass along your compliments to the technician and his supervisor. Unbelievable service from start to finish. One hundred and ten percent satisfied with their service. They were very professional and the work was outstanding. Very impressed. Thank you so much for the glowing review. Glad to hear you are having the best pest and termite control experience possible. Thank you so much for the wonderful review. Glad to hear you are having the best pest control experience possible. Rodney Pittman is totally thorough and always comes on time; he is considerate of my little dog and reminds me to call him between scheduled services, if I have any problems. Thank you so much for the wonderful review. We think Rodney is pretty great too. I will pass along your compliments to Rodney and his supervisor. Happy so far with treatment of termites . Hope it does a good job in the future. We liked the tech’s professional manner and completeness in doing his job. Great, timely service! I experienced fast and impressive customer service. Travis was amazing!! marshall was thorough and professional. great job. Always punctual, when we had an emergency there was a quick response, polite and courteous. Prompt service. Technician knowledgeable. Thinking about quarterly service. Great tech. Very knowledgeable on time. 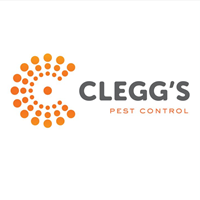 I was very pleased with Cleggs service.Very knowledgeable and answered all questions to my understanding.They will be my pest control company! Jane is absolutely amazing. I've had ant issues and when I call her, she is right on it helping me solve the problem. I appreciate her responsiveness and how friendly she is---great working with her! Good service. Effective control at present. Will sign up for Quarterly. Thank you for the great review. We strive very hard to make our customers 100% satisfied. I HAVE ALWAYS HAD GREAT SERVICE FROM CLEGG'S SINCE SIGNING UP FOR ANNUAL TERMITE INSPECTIONS I BELIEVE IN THE LATE 70'S-EARLY 80'S. IN 2016? DURING THE ANNUAL INSPECTION, THERE WAS A LOT OF WATER UNDER MY HOUSE AND YOUR EMPLOYEE SUGGESTED PUTTING IN A SUMP PUMP. SURPRISE! I DIDN'T KNOW YA'LL INSTALLED SUMP PUMPS, BUT I'VE BEEN VERY HAPPY SINCE YA'LL INSTALLED ONE FOR ME. AND THE FACT THAT YOU COME AND INSPECT IT EVER SO OFTEN TAKES MY WORRIES AWAY. YA'LL ARE THE BEST! THANK-YOU SO MUCH! LYNN WILKINSON- SUNSET AVENUE- DURHAM. Good service, addressed issue I had with billing. I have great service and always have. The technician was professional, provided good education on the pest issue at hand. He also offered up tips on how to manage other issues for this time of year. I found the information to be helpful. Chemicals used did not carry an odor. Very good experience with rep on the phone and the technician that came to the house. Thank you so much for the wonderful review. I will pass along your compliments to our office staff and your service technician. Service with Clegg's is excellent. Always get a rapid response and work done in a very timely manner and service people great. Thanks. Thank you so much for the wonderful review. Glad to hear you are receiving the best customer experience possible. Cleggs is a great company...if we have a problem, cleggs will make sure that this taken care of...Todd really knows his stuff...Thank you Todd for knowing what you know your stuff. Thank you so much for the 5 stars. We think Travis is pretty wonderful too. We will pass along your compliments to the technician and his supervisor. We have had service from Clegg's many years. We are very pleased with the service. Thank you so much for the wonderful review. I will pass along your compliments to the technicians and their supervisor. convenient scheduling - effective debugging - reliable technician - no complaints. Thank you so much for the 5 star review. We think James Martin is pretty great too. I will pass along your compliments to the technician and his supervisor.